Turn it up loud and enjoy; it’s as simple as that. Krokus are one of those bands that people seem to either love or hate. Alternately reviled or revered for their AC/DC inspired brand of Rock, most Hard Rock fans seem to have some sort of opinion on them. What can’t be denied on the basis of this album is that following the return of Chris Von Rohr and Mark Kohler from the classic eighties line-ups, along with third guitarist Mandy Meyer who has been a part of the band several times over the years, these guys still know how to put on a show. ‘Long Stick Goes Boom’ was recorded in the Swiss town of Solothurn which saw the birth of the band nearly forty years ago, with the three guitar attack giving this album a full and powerful sound. 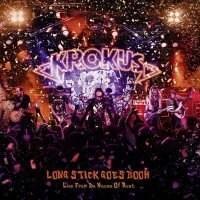 Krokus run through a balanced selection of greatest hits as well as songs from their last album and one or two surprise choices. ‘Long Stick Goes Boom’ kicks off the set with its extended intro giving the crowd every chance to make itself heard. At over seven minutes, including a brief sojourn into The Who’s ‘Pinball Wizard’, the song lays down the standard for the rest of the album; a Hard Rocking, punchy onslaught with Marc Storace’s vocals as raw and yet powerful as ever. ‘Hallelujah Rock ‘n’ Roll’ and ‘Go Baby Go’ from latest studio offering ‘Dirty Dynamite’ follow before Krokus show that they do have a bit of subtlety too with their long time live favourite cover of The Guess Who’s ‘American Woman’, the almost Ska sounding riff of ‘Tokyo Nights’ and the smouldering ‘Fire’ reminiscent of Uli Jon Roth era Scorpions. The proclamation of Switzerland as “Rock ‘n’ Roll capital of the world” is classic Krokus and introduces ‘Rock City’, in a medley with another couple of tracks from ‘Dirty Dynamite’. ‘Hellraiser’ (a surprising but welcome inclusion) is the title track from a much overlooked album which is heavier and more Metal influenced. The commercial hit ‘Screaming In The Night’ and ‘Bedside Radio’ are here too along with the non-studio album track ‘Live For The Action’ which was written as an anthem for the World Ice Hockey Championships. 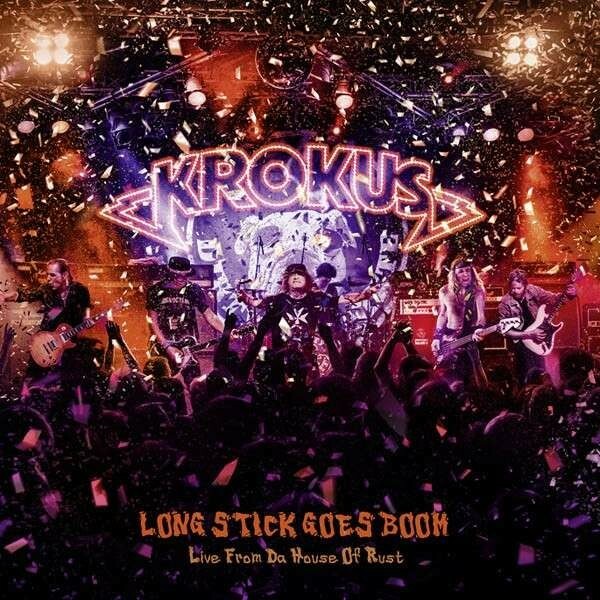 Krokus have their place in Rock history; it’s not a huge one and probably never will be. But the reuniting of Von Rohr and Kohler with Fernando von Arb and Storace gives credence and validity to the band’s continuation. My only niggle is that for me the crowd are just a little too high in the mix, always just audible, in an otherwise excellent sound. If you love your classic, straightforward, no nonsense Rock, just play this album, turn it up loud and enjoy; it’s as simple as that.